Alsisar Thikana in Jhunjhunu district was awarded to Thakur Samrath Singh by his Father Thakur Pahad Singh of Heerwa, Alsisar was a portion of the estate of Thakur Kishan Singh Ji of Khetri. Hence Alsisar was an integaral part of Panchpana estates of Maharao Shardul Singh’s descendants. Thakur Samrath Singh Ji made Alsisar his capital in the year 1783 AD and developed the Thikana in to a beautiful place. Alsisar Mahal (Palace) was built by the Shekhawat Thikanedars. Thakur Gaj Singh Ji is the present Thikanedar of Alsisar. The restoration work of Alsisar Mahal is done by the present Thakur Saheb and his family. 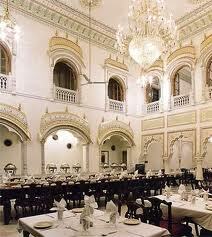 A heritahe hotel (Alsisar Haveli) in Jaipur is also being run by the erstwhile Royals of this thikana. Marwari community has its own important stake in building numerous Havelis , Wells, Dharamshalas and temples in the village. A cowshed (Gaushala) for ailing and old cows is also being run by the non resident villagers. One can easily witness the finest Rajput architecture rich of fresco carvings and historical depictions on the walls of Alsisar Mahal. The Rajput hospitality is another attraction of this Shekhawati town. 1- Alsisar Mahal is no doubt the first place to visit in this village, a couple of night stay in this heritage hotel is not a bad idea either. 2- The other important sights in the village are Kejriwal Haveli, Laxmi Narayan temple, Cenotaph of Thakur Chhatu Singh Ji, Shri Lal Bahadur Mal Ki Haveli, Tejpal Jhunjhunuwala Ki Haveli, Ramjas Jhunjhunuwala Ki Haveli , Lakhaka Ki Haveli, Mahali Dutt Khaitan Haveli, Shri Shyam Temple, Arjun Ram Khaitan Haveli, Satya Narain Temple, Sri Lal Bahadur Mal Kuan (Well). Ram Jas Jhunjhunuwala Ka Kuan (Well), Jiwan Ram Marodia ka Talab (Pond) & Indra Vilas. All the buildings mentioned herewith are rich in fresco paintings and their architecture. Alsisar is on the state highway#41 , so it is well connected by road with New Delhi, Jaipur and rest of India. The road from Jhunjhunu to Rajgarh via Luna & Bairasar connects Alsisar. Luna is another famous village between Jhunjhunu and Alsisar; it is the village of Late Ustad Mehdi Hassan – the King of Ghazals. The nearest Railway station is Jhunjhunu which is connected directly with Delhi and Jaipur. The IGI airport New Delhi and Sanganer Airport Jaipur are almost equidistant from the village.